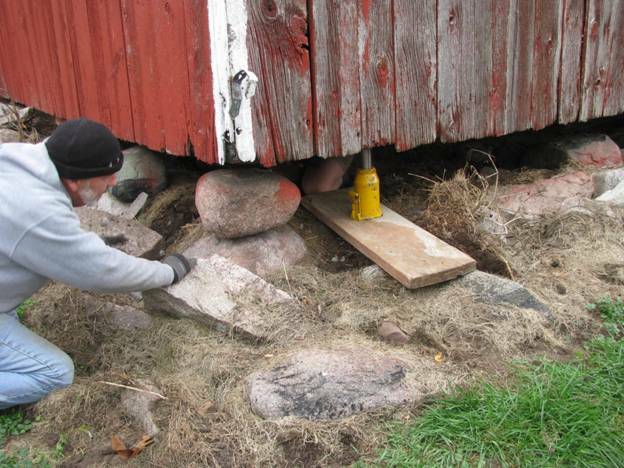 Members of the Lansing Chapter contribute their time and talents to a number of civic and public-interest activities. Members participate in the Coalition for Literacy; the American Red Cross; conservation programs; programs to assist hospitalized veterans; programs to assist the Kate Duncan Smith DAR School (Alabama), the Tamassee DAR School (South Carolina), Berry College (Georgia), the Crossnore School (North Carolina), Hillside School, Inc. (Massachusetts), and Hindman Settlement School (Kentucky). The DAR assists in the education of Indian youth through scholarships and support of Bacone College in Oklahoma and Chemawa Indian School in Oregon. In 1997 chapter members rededicated a bronze marker commemorating the site of the first state capitol building in downtown Lansing. They were also instrumental in ensuring the preservation of the historic Barnes House, which had served as a stage coach stop on the Old Plank Road between Lansing and Detroit. Members seek out local businesses and individuals who display the goals of the DAR, i.e., promote education, preserve history, and encourage patriotism. The chapter recently presented the Outstanding Teacher of American History award to a local high school history teacher. Every year, DAR Chapters seek outstanding high school seniors to give them recognition for their patriotism, leadership, service, and dependability. 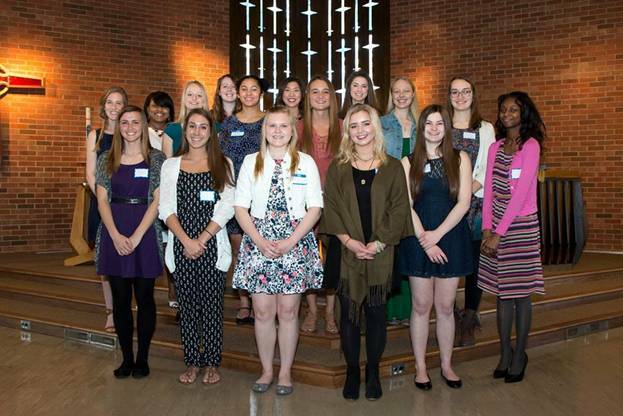 The Lansing Chapter was pleased to honor 23 seniors from area high schools during our DAR Good Citizens Awards Day event. Many of the students choose to participate in an essay-writing contest to compete for local, state, and national awards. About 900 people from all over the state attended the “Michigan Says Thanks” on the Capitol grounds October 8, 2015. The three-hour event marked the 40th anniversary of the end of the Vietnam War. It included a formal “welcome home” ceremony, a motorcycle procession, a lapel pinning ceremony and performances by two musical acts. Organizations set up 28 “historical stations” on the Capitol grounds. 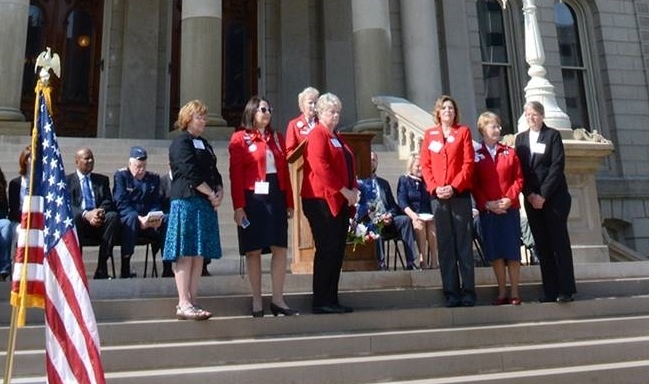 The Lansing Chapter DAR participated with a wreath laying ceremony to honor the veterans. 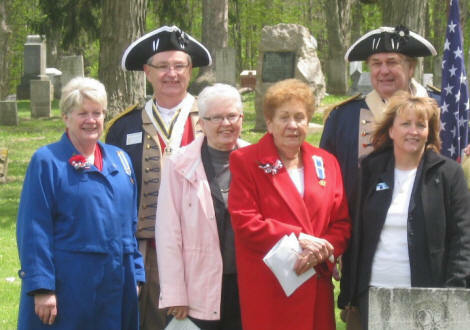 The Lansing Chapter DAR, along with the Michigan Society Sons of the American Revolution (MISSAR), delivered full military honors to Private William Cole at the DeWitt City Cemetery, DeWitt, MI. The ceremony was attended by over 50 people including city and township officials. Private William Cole was born October 8, 1753 in Kensington, Hartford County, Connecticut and died May 16, 1829 in Clinton County, DeWitt, MI. Pvt. Cole was the son of John and Elizabeth Cole. He enlisted as a private in May 1778 at Schodack, New York, for one year in Captain John Davis’s Company under the command of Colonel Henry B. Livingston, Sr., of the 4th Regiment of the New York Continental line. 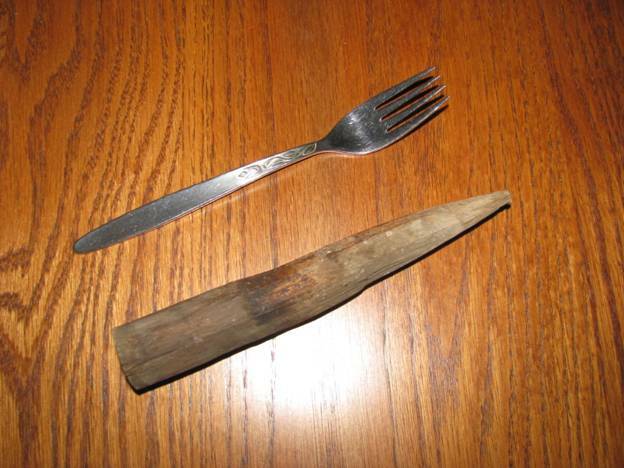 During his service William was badly scalded at Albany and also came down with smallpox at Valley Forge, PA. In late 2013, the Veteran’s Administration reviewed his war service submitted by the MISSAR and issued a Veteran’s Administration gravestone that was placed on Pvt. Cole’s grave site. and Camille Subject, Vice Regent Lansing Chapter DAR. Back row L-R: Robert Sprague, President and Gerald Burkland, Trustee MISSAR. 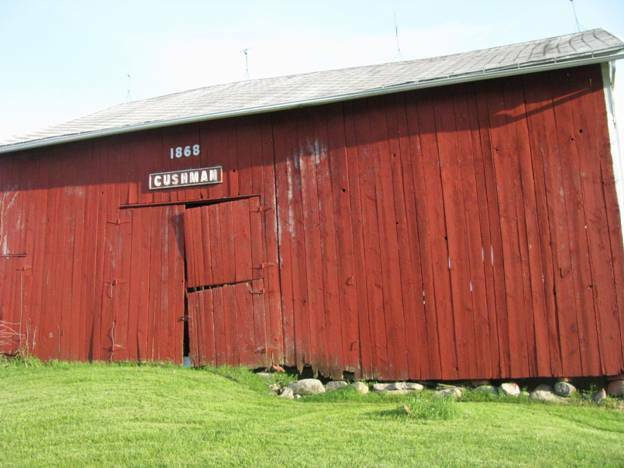 The Cushman barn was built by George Cushman in DeWitt Township in 1868. 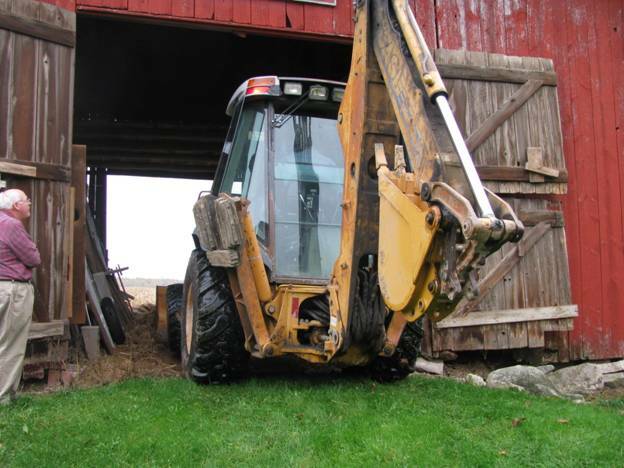 It was an integral part of farm life then, but it has taken on a new role today. 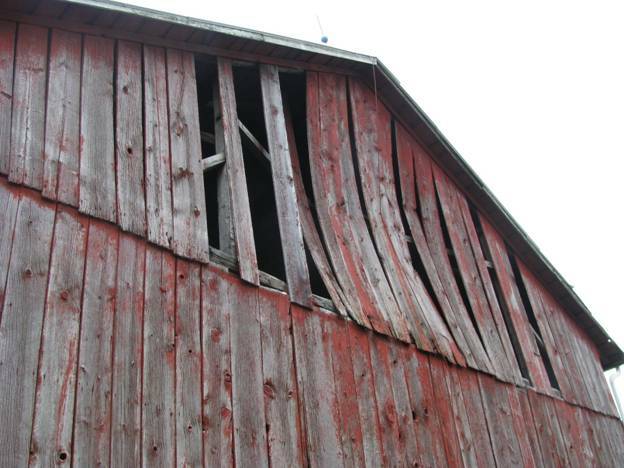 The Michigan Barn Preservation Network has requested the opportunity to save the barn and restore it to its former condition. 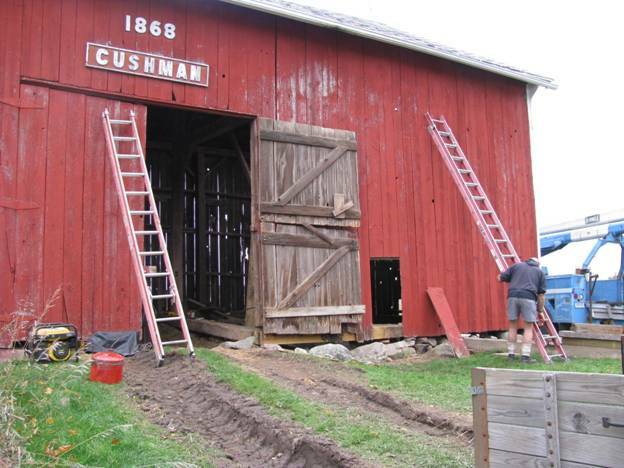 Johanna Cushman Balzer, George Cushman’s great-granddaughter, has agreed to allow renovations to the barn. 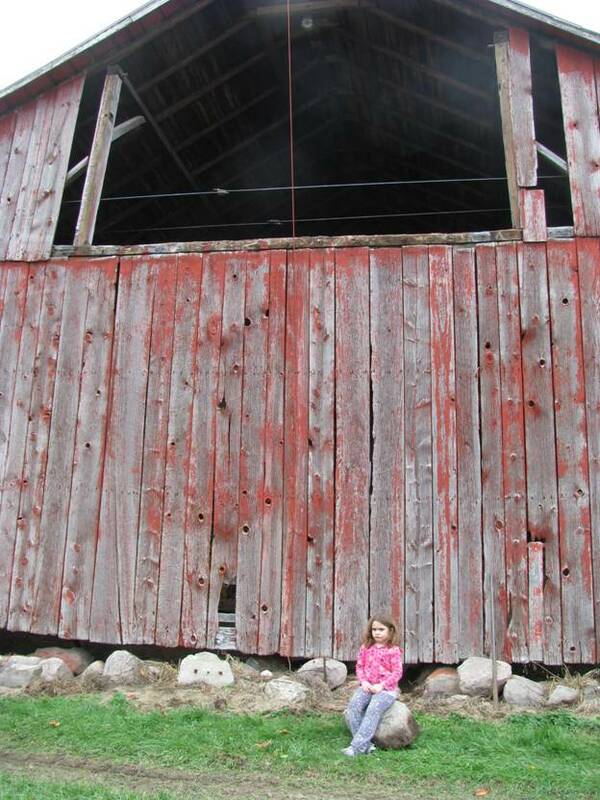 Great great great granddaughter of George and Ellen Cushman who owned the farm at the time the barn was built. 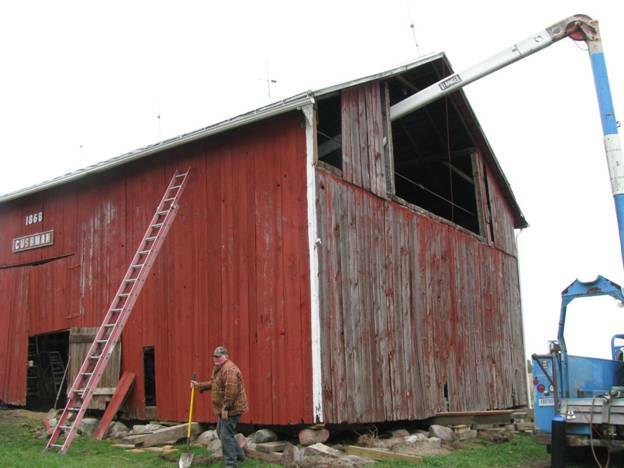 Cherry picker used in barn interior to repair broken beam. 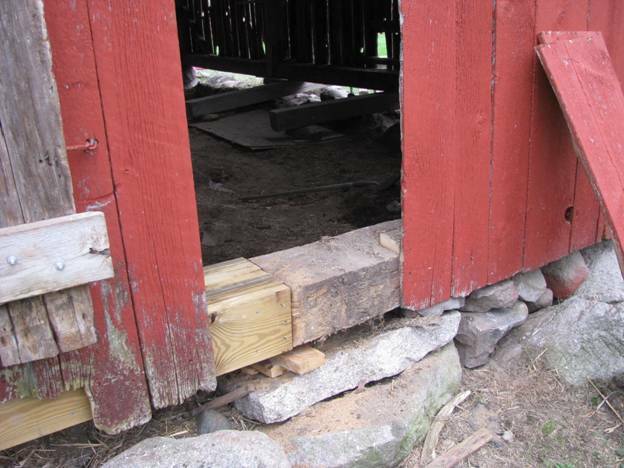 Harlan Whipple, whose company is restoring the barn. New sill to replace one completely rotted away on north side.